May 16th was National Classic Movie Day! On that date we celebrate those films we love from the golden era of Hollywood. To list just one film that brings me joy or comfort like an old friend is frankly impossible. But one of many that I have seen countless times and brings me laughter without fail, even on the bluest of days, is Leo McCarey’s THE AWFUL TRUTH (1937). The gowns draped on Irene Dunne are positively gorgeous. Stunning and stand-out, designer Robert Kalloch is in his prime in this film. With over 150 film credits from 1932 to 1948, he was often uncredited early in his career but became known for his costume design work in such memorable classics as Claudette Colbert in IT HAPPENED ONE NIGHT (1934), Carole Lombard in TWENTIETH CENTURY (1934), Katharine Hepburn in HOLIDAY (1938), and Rosalind Russell in HIS GIRL FRIDAY (1940), including several “Lone Wolf,” “Blondie,” and “Maisie” films. The beloved wire fox terrier, “Mr. Smith” was not only the main source of a custody battle between stars Dunne and Grant in THE AWFUL TRUTH, this perky pooch (real name ‘Skippy’) was also known as the charming comic relief “Asta” in THE THIN MAN film series, and “George” in BRINGING UP BABY (1938). The popularity of this particular pup was so immense that Humphrey Bogart suggested a canine award. A silver statuette was presented to Skippy on March 11, 1938 based on the results of a popularity poll. To illustrate the scene-stealing talents Skippy displays in this film, watch “Mr. Smith” play games with Dunne, sing along with Grant at the piano, and go full-on slapstick in a game of revealing hats while bringing down wall mirrors. Cary Grant is my absolute favorite classic movie actor, so I’ve seen plenty of his films many times over. As such, I’ve watched him paired with Hollywood’s top leading ladies in both dramas and comedies. For me, he was best matched with Irene Dunne for his romantic comedy roles. What’s challenging about playing the leading lady in a screwball, you must balance the elegance and confidence of a socialite in exquisite fashions while mastering the silliness required of farcical slapstick. To keep up with the unparalleled skills and charms of Cary Grant is no small feat. Not to mention the script calls for both actors flipping back and forth of one playing the straight and the other the clown. Yet Irene Dunne matches wits with zany precision and infectious appeal. Aunt Patsy (Cecil Cunningham, R) delivers the witty lines as sharply as her tailored fashions. Throw in the supporting cast with veteran talents like Cecil Cunningham and a reliable third wheel like Ralph Bellamy, you’ve got the perfect set-up for a film that never grows old or feels tired. Every time it’s the just-right tonic for whatever ails you. 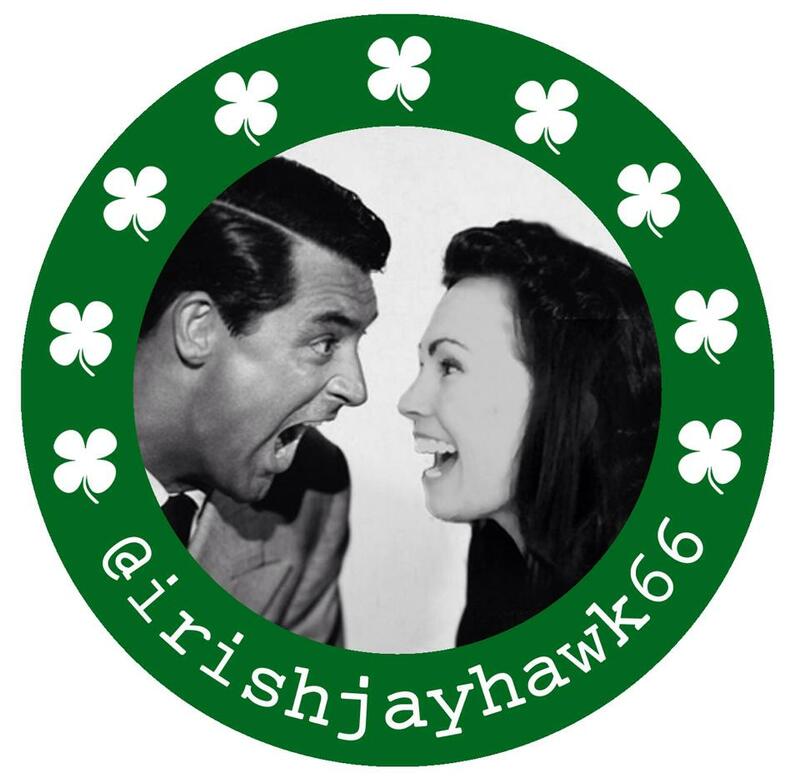 I share this with you as part of the Classic Comfort Movie Blogathon, hosted by Rick of the Classic Film & TV Cafe as a fun way to honor National Classic Movie Day/ May 16, 2018. How did you celebrate Classic Movie Day? I have not watched The Awful Truth in quite a while. Thanks for reminding me what I have been missing, and I’ve sure been missing out on a lot! Irene’s “Gone With the Wind” is hilarious. She and Cary are the perfect teaming. A perfect comfort movie featuring Cary and Irene at their comedic best! Plus, it features that superb canine character actor–Skippy. If they’d given Oscars to dogs, Skippy would have been a multiple winner. Excellent choice and for excellent reasons, Kellee. This is my favorite of all the screwballs and I agree with you on all 5 points. One scene that never fails to make me laugh out loud is the one in which Cary Grant plays the piano and Skippy sings along. Perfect. Love that man, love that dog, and love the Grant/Dunne duo. Great piece! Yes, yes, yes! You hit on all the reasons I too love this movie. There is just no one like Cary Grant and Irene Dunne certainly matched him in comic style, elegance and dialogue.